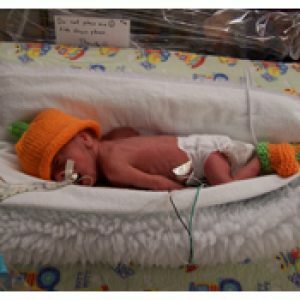 We would LOVE to be able to give special hats and booties to Iowa NICUs for Thanksgiving this year. We are thinking about Pumpkins and Turkeys and Pilgrims. What have we missed? We’ve also created a Pinterest Board to gather inspiration. As always our Crafting Guidelines and Measurements Guide apply. This donation will be made to the hospitals we support on or around Monday, November 25, 2019.